(Bloomberg) -- Hong Kong’s most famous stock picker is on the attack again, criticizing the accounts of one of the city’s top performers this year. 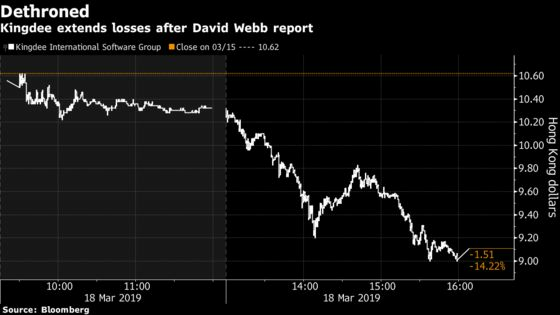 Citigroup Inc. analysts are sticking to their bullish stance on the stock even though it has been "volatile," according to a Monday note that addressed Webb’s post. That’s after the brokerage hosted investor meetings with Kindgee management.